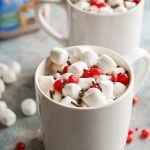 Spicy Cinnamon Hot Chocolate is the perfect way to warm up this winter. Rich and creamy, cinnamon hot chocolate will keep you toasty from the inside out! Oh boy, are you feeling the chill? That arctic air is tough but we still have to go out in it. The activities, the snow shoveling, grocery shopping, it all has to happen regardless of the weather. 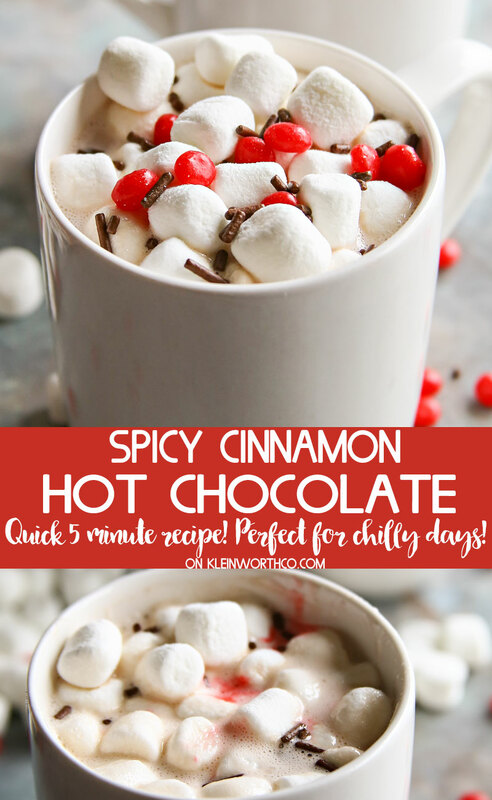 Fortunately, I have a quick & easy recipe for some Spicy Cinnamon Hot Chocolate that we make again & again to help us warm up. 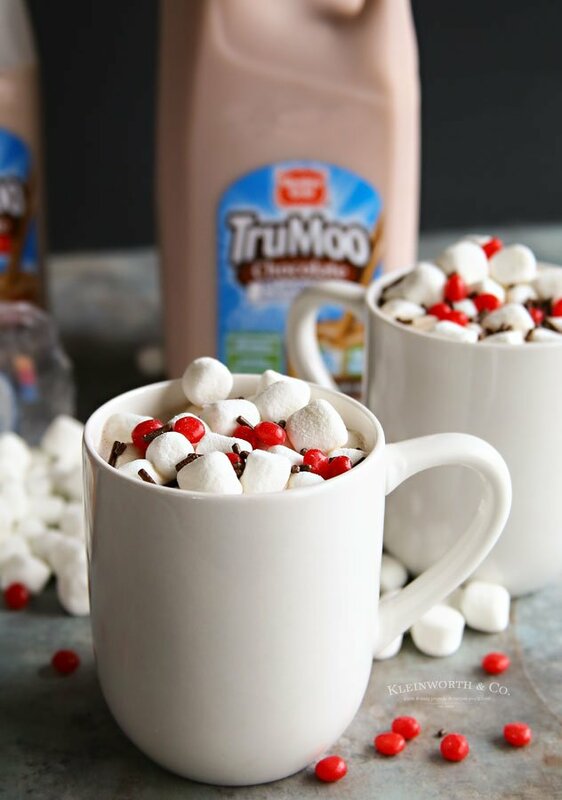 We love making our hot chocolate with TruMoo Chocolate Milk. Have you tried it HOT before? We love it because it makes the perfect steamy mug of hot chocolate in just a couple minutes. 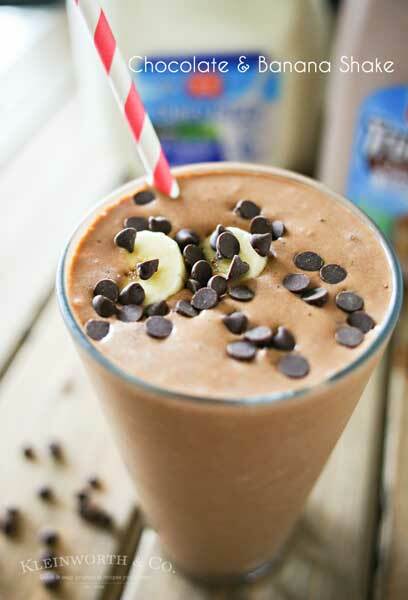 It is so rich and chocolaty & so much better than a mix. Absolutely perfect every time. 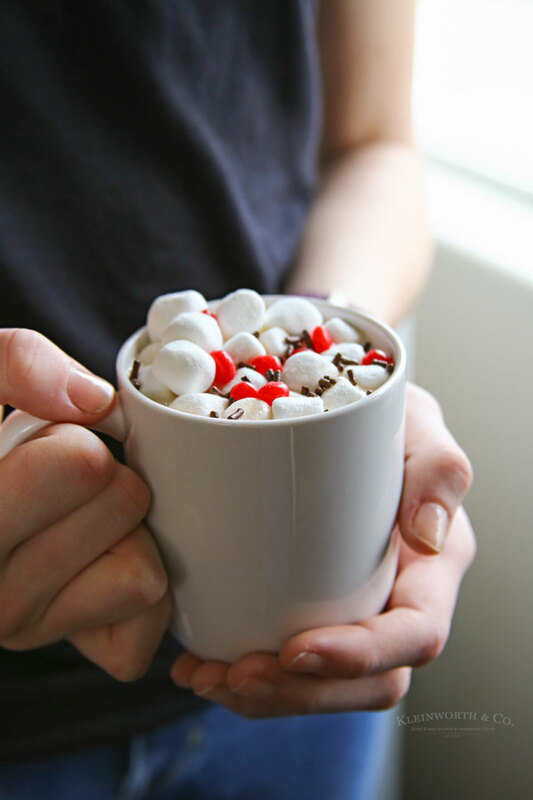 Sometimes we like it with hot with some Jet-Puffed Marshmallows on top. Other times we like to add more, like a drizzle of caramel sauce or in this case, some cinnamon syrup & red hot candies. YUM! It’s so good. Have you ever had a spicy hot chocolate before? My family is crazy for cinnamon flavors of all kinds, which is why this particular recipe is a favorite. 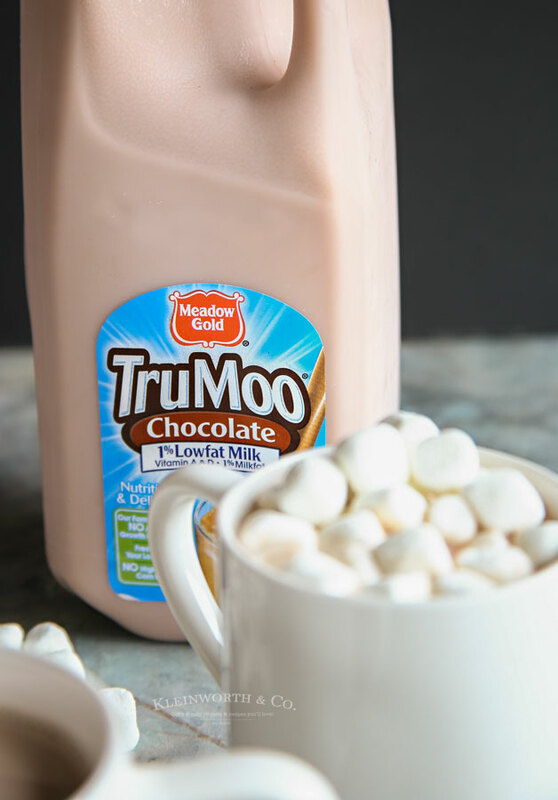 We always have TruMoo on hand because it comes from our local dairy (& yours too). I like to buy & support local producers as much as I can. I also love it because THIS chocolate milk doesn’t sacrifice taste, has NO high fructose corn syrup and less sugar than the leading chocolate milk brand. TruMoo also contains no GMO ingredients which makes this mama happy. You know what makes me even happier? TruMoo is encouraging others to pay it forward by partnering with One Warm Coat. One Warm Coat is a non-profit, national organization that provides free, warm coats to those in need. Can you imagine not having a warm coat this time of year? It is something a lot of us take for granted. You can help by sharing a photo of your mug with the hashtag #WarmUpWithTruMoo to benefit One Warm Coat. For every photo shared, TruMoo will donate TWO coats to One Warm Coat. That is AWESOME! (Program dates 1/15-2/28) You can share on Twitter, Facebook or Instagram. 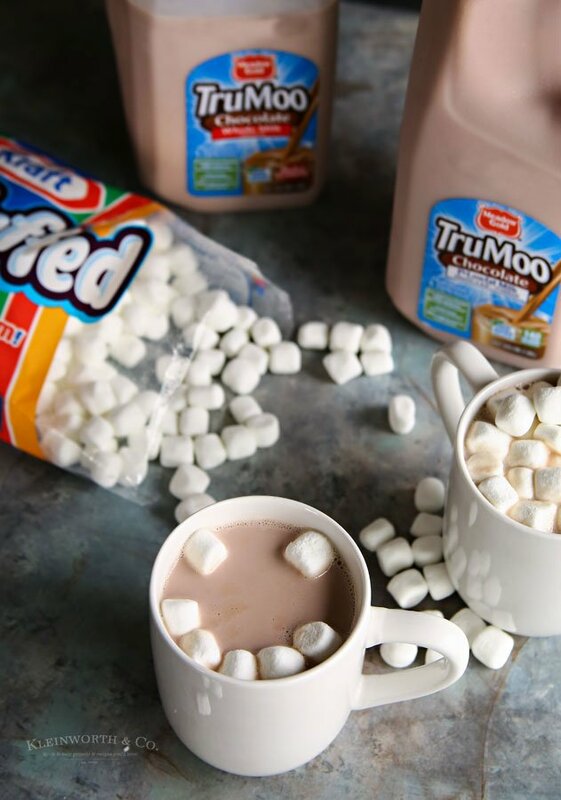 Also – don’t miss – in select stores, you can receive a coupon for $.65 off when purchasing TruMoo & a bag of Jet-Puffed Mini Marshmallows together. Pretty cool! 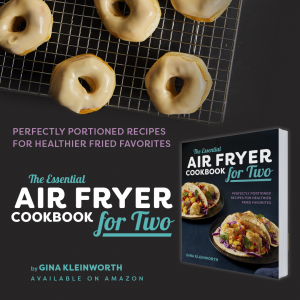 Looking for more great recipe to pair with your hot chocolate? The easiest, most delicious hot chocolate ever. 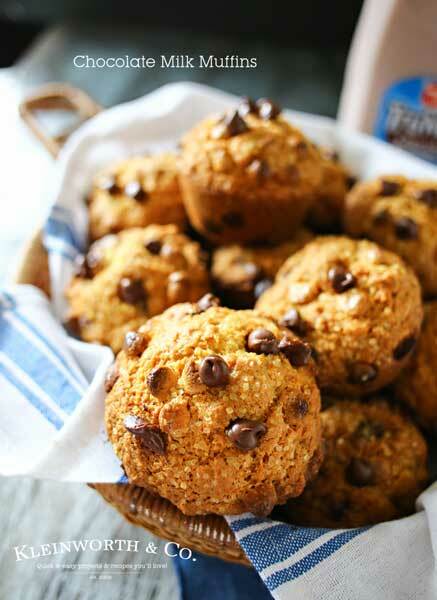 Combine syrup & chocolate milk in a microwave-safe mug & heat in microwave 1-3 minutes, depending on your microwave. Top with marshmallows candies & sprinkles before serving. How wonderful of TruMoo to give back like that! What a fun cup of Hot Chocolate! 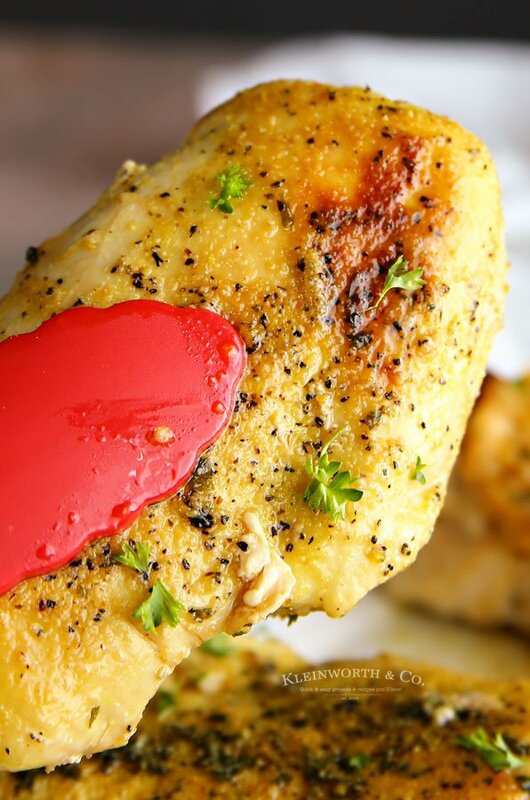 Thanks so much for sharing your post with us at Full Plate Thursday. Have a great week and come back soon! 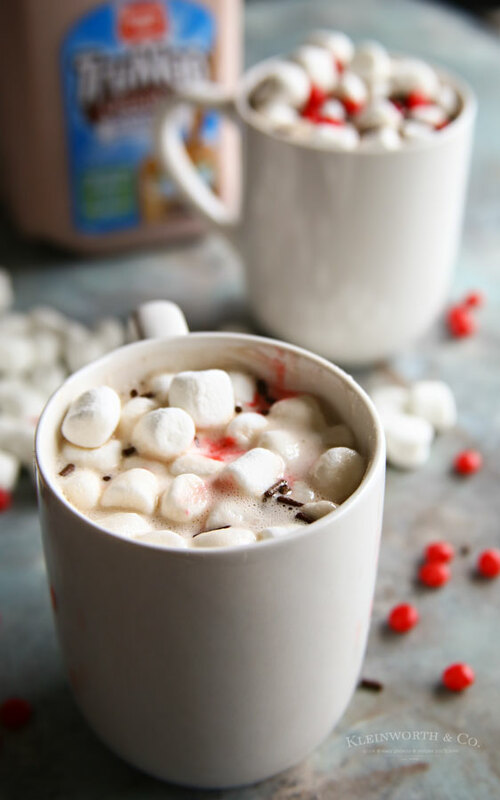 Adding Red Hots to hot chocolate sounds so yummy! 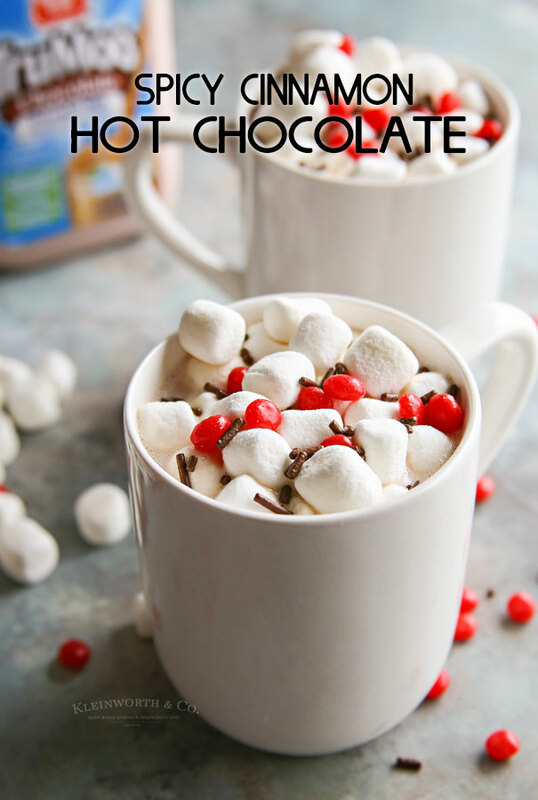 What a great way to make a fun cup of hot chocolate without a powdery mess! Thanks so much for sharing at the #happynowlinkup!